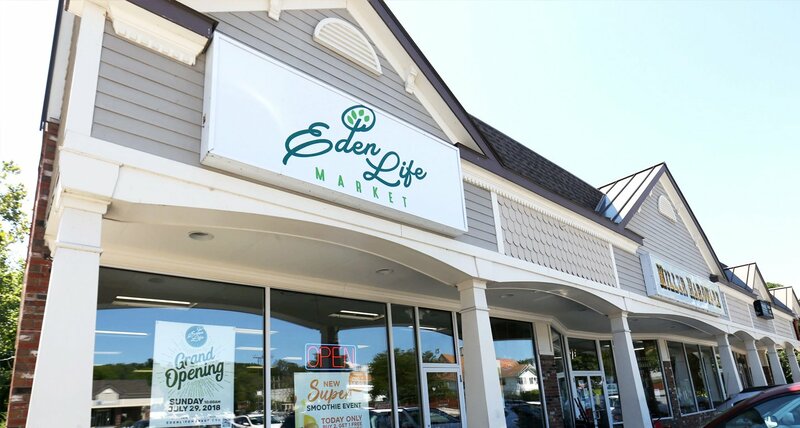 Our Mission at Eden Life Market is beyond providing affordable healthy foods conveniently for everyone every day. We are a faith-based business that is devoted to spreading the good news of Christ through practical and unconventional methods. We follow the model of Christ which, during His ministry, He spent more time healing the sick than preaching. Who focused on the whole man, mental, physical and spiritual. Eden Life Market was founded on basic principles of, honesty, simplicity, integrity, and transparency. We see the need to provide affordable, quality and plant-based foods for everyone. Our goal is beyond organic, we endeavor to provide foods that exclude all harmful ingredients like, artificial sweeteners and dyes, MSG, genetically modified ingredients, dairy, and more. We also manufacture our own private health food label and have a private distribution center which assists us in providing products at competitive prices. Our market features a plant based “vegan” restaurant and a smoothie and juice Bar. Christ feeding the great multitude proves that He was not only concerned with the spiritual welfare of His followers but also their physical well being. After healing the sick all day He did not turn them away hungry but fed them. He fed five thousand men, not including women and children, with only five loaves and two fishes from a little lad. He (The Great Manufacturer) broke the bread and gave them to His disciples (Distributors), who then distributed with 12 baskets (Transportation) to the multitude (store fronts). It was one of Christ’s greatest miracles which we attempt to perform with our market every single day. The gospel is a simplifier to life’s problems. However, in today’s secular society, many people are opposed to anything religious. One commonality we have are either we know someone who is sickly or we are sick. And helping heal someone we demonstrate our religion whereby we win their confidence. After building that trust with them, making friends, it is much easier to preach gospel. We are devoted to spreading the everlasting gospel to the whole world through health. We intend to duplicate Eden Life Market through the State of New York and the North East, to reach as many individuals as we can. Eden Life Market was established with the intent of healing humanity physically, mentally and spiritually. We have developed a biblical model after the example of Christ in carrying forward our work at our health food markets. We are dedicated to providing clean and wholesome food that is affordable to everyone every day whilst simultaneously presenting the gospel to them.